It may have been a chilly and blustery December evening, but it’s tough to beat such incredible views of the city skyline. Thanks to the crew from Skyline Park for coordinating everything and showing us some really cool spots for pictures. 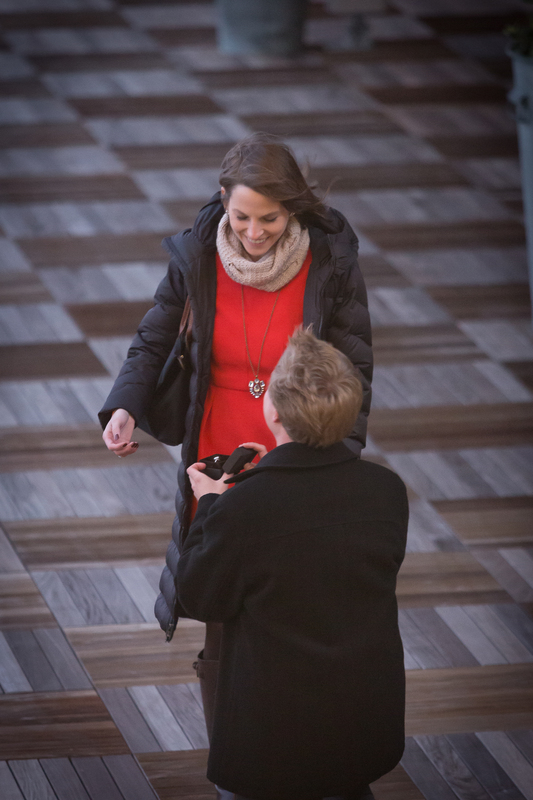 Congratulations, Beth and Nathan! 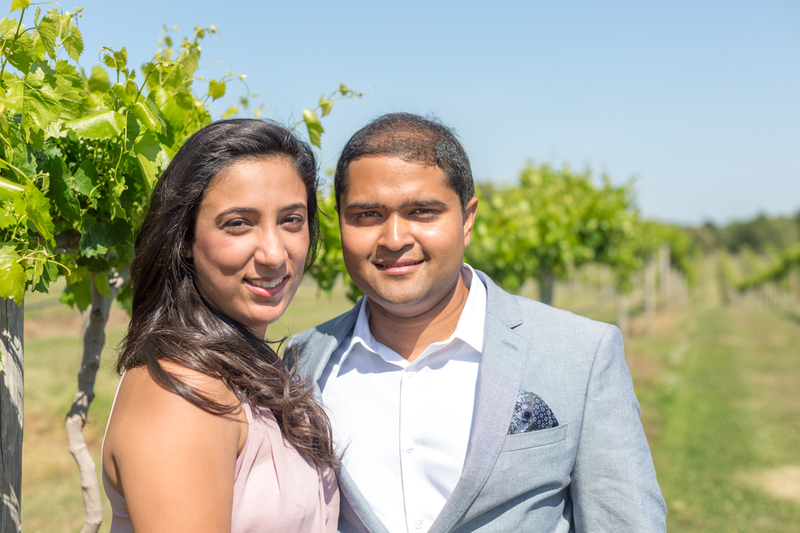 Sheetal and Nikhil’s awesome proposal last May was so much fun to shoot! This was my first time shooting at Chateau Elan and while the mid-afternoon sun presented some challenges, I was super happy with the pictures we captured. 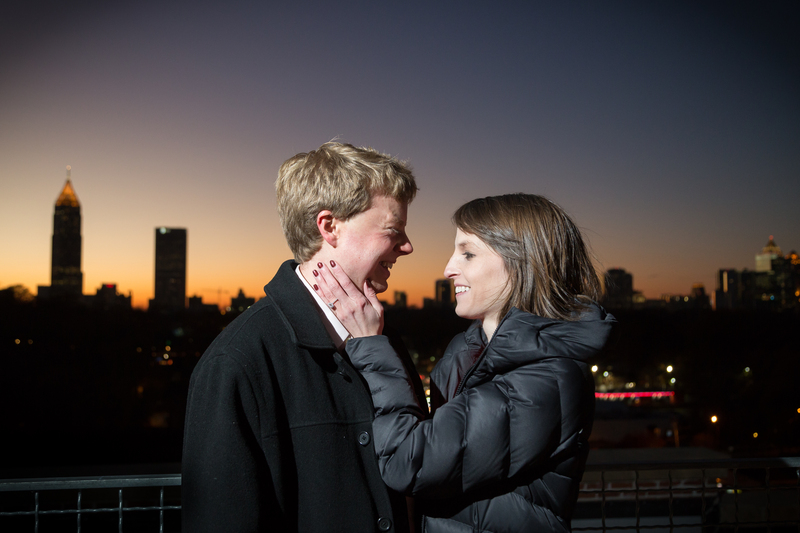 I’ve probably mentioned how much I love to shoot proposals. The excitement, the anticipation – it always surprises me how loudly my OWN HEART beats as I wait to see everything unfold. On this day everything unfolded perfectly…blue skies, a beautiful ring and even a departure by helicopter (wow, nice work Nikhil!). Perfect planning and the staff at Chateau Elan made sure it all went off without a hitch. My only regret was not being able to ride in the helicopter! Diana and Vic lucked out with an unseasonably warm December evening at Primrose Cottage in Roswell. They were completely relaxed and comfortable in front of the camera. We took some outdoor photos before the reception, including this stunner! The Clutters just moved to Atlanta recently but they seemed right at home in Piedmont Park for our photo session. The occasion: baby Chloe’s upcoming first birthday (check out her second outfit)! It was a great pleasure working with a family so comfortable and relaxed in front of the camera. I quickly realized that Chloe found me to be less interesting than the park’s dogs, ducks and turtles. She quickly came around, however, and was hamming it up for the camera in no time. Happy birthday, Chloe! It’s hard to think of a better time for a photo session than mid-May twilight in Atlanta. I met Amisha and Neil at Piedmont Park just as the sun was beginning to go down. We enjoyed some beautiful golden light before heading over to Historic Old Fourth Ward Park where we took photos through twilight. I’m super happy with all of the great smiles, spring colors and great vibes that we were able to capture. Best of luck with the upcoming wedding, you two! I want to share a few portraits of a young man and his family that I had the pleasure of meeting in New York. I took these portraits just before Fenton’s very first communion. His contemplative persona really shines though and he totally nailed the Mona Lisa smile (see below). Congratulations, Fenton! So quite simply, this wedding was a lot of fun to shoot. Was it because Fate and Mohit were so comfortable and posed like pros? Maybe the colorful Indian clothing and food help lift everyone’s spirits after a rainy morning? I’m going to say my favorite part was the reception. When your friends put on a 6 minute flash mob dance, you can’t help but have a great time! I learned a few new songs and dances (this one has earned a spot on my playlist! – seriously, have a listen). The very best wishes for your future together, Fate & Mohit! Shot for Bonnie Heath. An addendum to last week’s beautiful Botanical Garden shoot…a picture-perfect orchid. Imagine this scenario – you’ve recently returned from your dream honeymoon in Hawaii. Tropical drinks, sunshine, sand on your toes as you walk the beach with the love of your life. Just a few days before, you enjoyed a picturesque wedding ceremony by the sea. Back home, as you reflect on how your wedding experience couldn’t have been more perfect, an email containing your wedding pictures arrives. They stink. People’s faces are completely dark against a washed out Hawaiian sky. They show no creativity, they’re basically snapshots – and bad ones at that! While your “photographer” could afford to buy a fancy camera, he clearly had no idea what he was doing. This was Atlanta couple Lisa and Tom’s real-life photo nightmare. Shooting with Bonnie Heath, we were determined to give them what they deserved – truly professional bridal photos. While Atlanta in February feels nothing like Hawaii, the botanical garden’s greenhouses do a great job standing in for a tropical rainforest. Lisa and Tom gave this photo do-over their all, dressing just like they did for their wedding and flashing many loving newlywed smiles. They now have many beautiful bridal photos to choose from. Score one for the professionals! Elaine and Greg are getting married on the west coast next month, yay! I shot with Bonnie J Heath Photography at the ultra-chic Ambient + Studio in Atlanta to help capture their engagement photos. In addition to the comfortable elegance they exuded the whole time, my mind was totally blown away by their props! To clarify, they provided everything – from the lighted LOVE sign to the chalkboard hearts-on-a-string (such a great idea!). I can’t wait to see their wedding photos – they’re naturals in front of the camera!